From caterpillar companions to chirping song birds, there’s a whole wonderful world just outside your window! 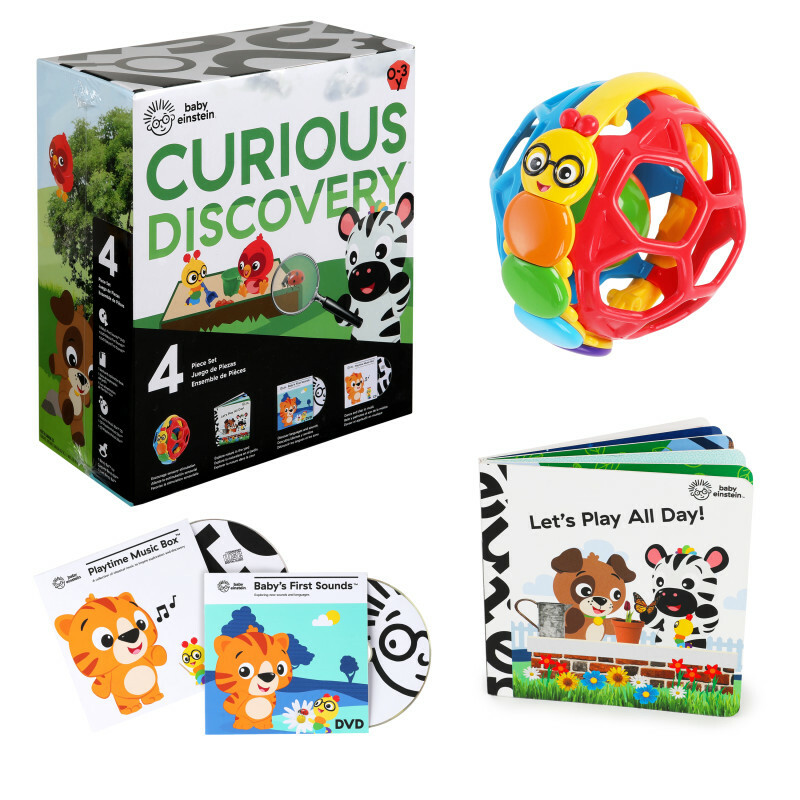 Baby Einstein’s Curiosity Box brings these familiar faces to life… right in your living room. The best-selling Bendy Ball features a happy caterpillar pal, whose captivating ball shape will become your baby’s main squeeze. Little fingers love to grip the flexible, soft plastic. With a ball inside the bendy ball, this developmental toy is fun to shake and roll. Open the door to even more backyard adventure with a book, a CD and a DVD.